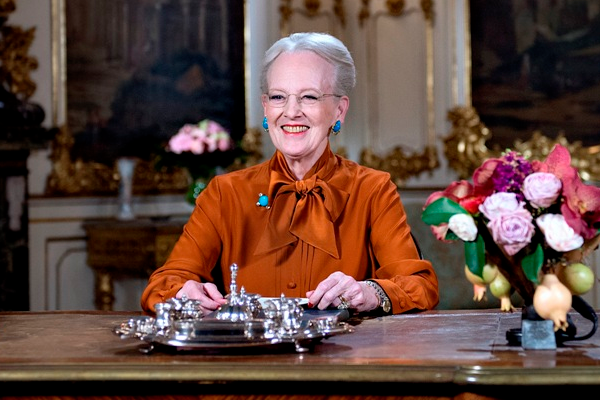 For her annual New Year's Speech, Queen Margrethe II of Denmark chose pieces from her extensive collection of turquoise jewels. She mixed antique and modern pieces for the speech. Her brooch is a legacy from Queen Ingrid. 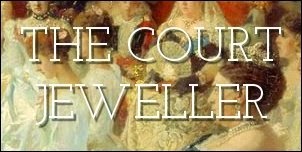 It was a wedding gift in 1905 to Princess Margaret of Connaught, Margrethe's grandmother, from the Duchess of Devonshire. The earrings are part of a modern set that can also be worn with pendants. You can read the text of the Queen's address here. The biggest revelation from the speech? Prince Henrik will be stepping back from many of his public duties in the new year. Stay tuned in the next few days for tiaras from Denmark and Japan!